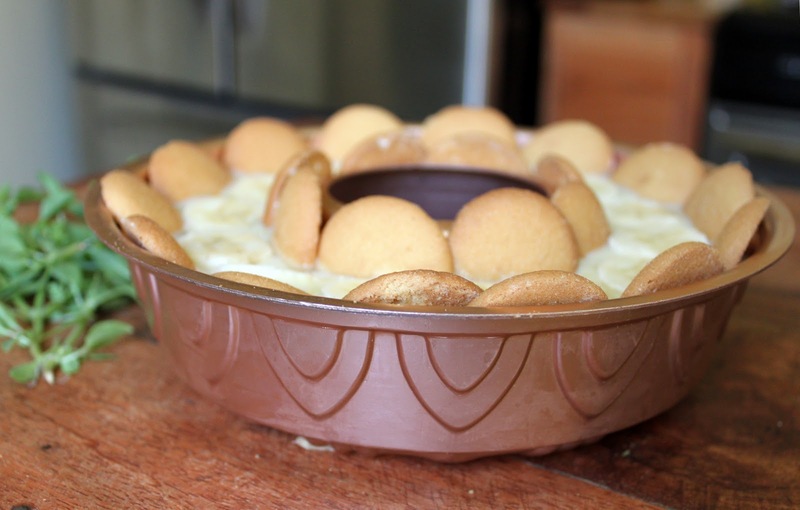 After your very encouraging positive comments on my Grandmother’s Chess Pie recipe, I thought I would share with you another one of her classics, Banana Pudding. This recipe is simple but diverse. You can use it to make a cream pie (perfect for the Christmas Holidays); add some good quality chocolate and turn this into chocolate pudding; take away the bananas and vanilla wafers and you have a perfect vanilla custard; or try making it into a chocolate cream pie! This dessert is the ultimate comfort for me. Reminding me of my childhood when my mom used to make it and I could hardly wait until it was done. We would dish out the pudding into a few ramekins and enjoy it hot. It also reminds me of being at my grandmother’s house where we would also enjoy honey buns for breakfast and root beer floats for an afternoon snack. I love bringing back an old recipe for a new occasion. What family recipe will you bring back this Christmas? Mix flour, sugar, and salt in the top of a double broiler (or place a smaller pot on top of a larger one filled partially with water. Add milk gradually and cook until thick, stirring constantly. Add a small amount of hot mixture to the egg yolks. Then stir this mixture into the rest of the hot mixture. Stir constantly to prevent the egg yolks from scrambling. Cook until thickened (this part may take a few minutes). Once thickened, remove from stove and let cool. When almost cool, stir in butter and vanilla. If making a Cream Pie, pour mixture into baked pie shell. Preheat oven to 350 degrees. Spread with meringue (3 egg whites, whipped until foamy. Add 6 tablespoons of sugar gradually, and continue to whip until stiff peaks form. Spread meringue over pie, sealing the edges at the crust). Bake in preheated oven for 10 minutes, or until meringue is golden brown. For Coconut Cream Pie, stir in one small can of coconut to the cream filling. For Chocolate Pudding, increase sugar to 1 cup. Melt 2 10oz squares of unsweetened chocolate in scalded (warmed) milk. For Parfaits, alternate pudding with fresh fruit. Top with whipped cream. 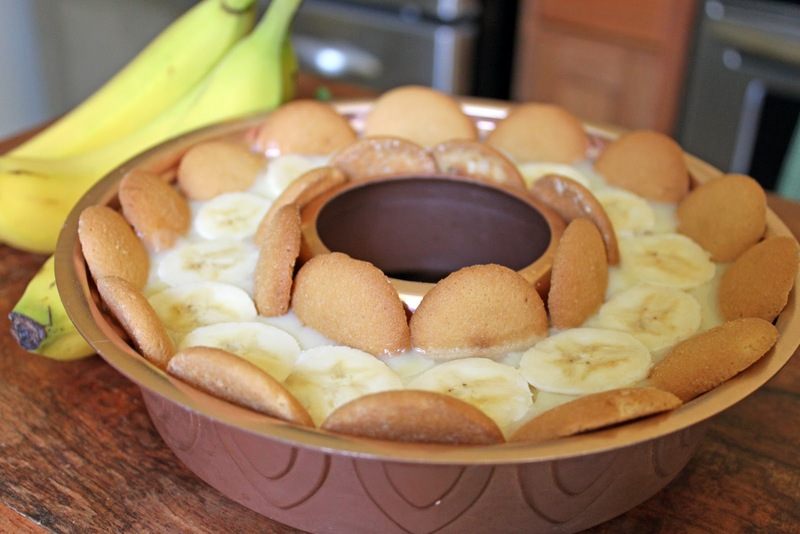 my father requests a banana cream pie very similar to this for his birthday, every year. i think we may bring back an old bouche de noel recipe this year, its so decadent, and it has been years since we made it. your grandmother's name is lovely. Oh boy, this looks good. Is it a sign? Because I keep hearing about and seeing banana cream pie recipes. I think I might try this one…. This recipe is one of my faves! I make it often here because it is really pretty easy and I usually have all the ingredients on hand. 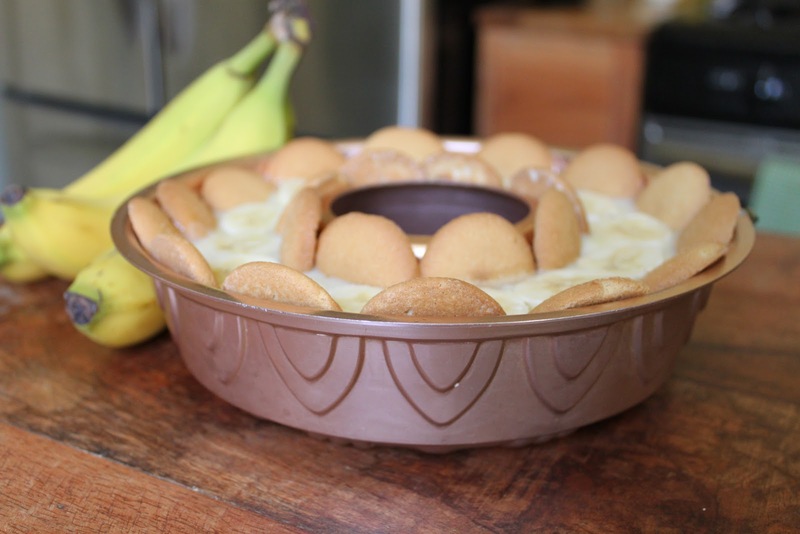 It is so much richer and more delicious than vanilla pudding from a box! This sounds good. And since I rediscovered my love of bananas two years ago, I'd love to try it. We'll be pulling out my grandmother's rice pudding recipe. We have a fun Swedish holiday tradition that surrounds it. omg – I have not had this in ages! What a great memory & reminder – lovely! i had the pleasure of enjoying this delicious pudding and can assure it is wonderful! such a fun and pretty pan to make it in too! 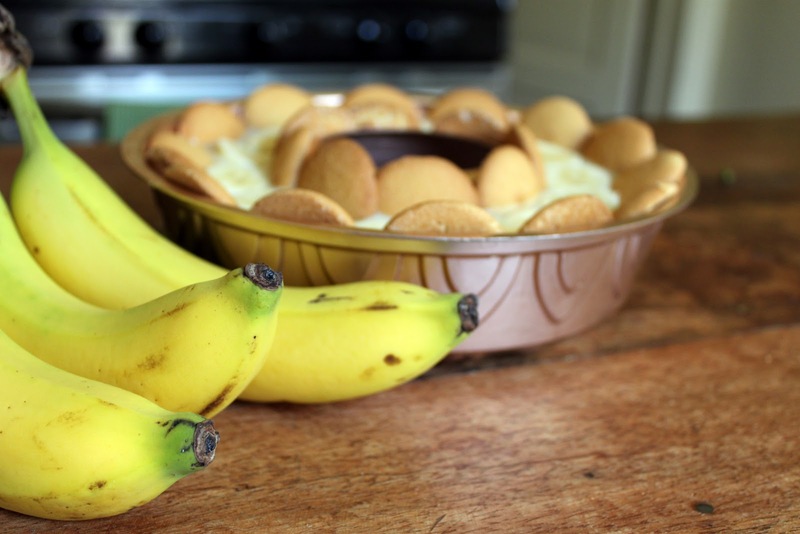 I've never tried banana pudding but your photos look delicious, and everything tastes better with a good memory behind it. Gorgeous!